Experience the largest animal migration on earth on this private 10 day safari. Highlights include hiking with Maasai trackers in the foothills of Mt. Kilimajaro on a private wildlife reserve, the hippos of Lake Manyara, the amazing Ngorongoro Crater and ending in the endless plains of the Serengeti. While on safari you will stay in small permanent tented camps and luxury lodges and your Tanzanian safari guide will be with you throughout your journey. Upon arrival into Kilimanjaro International airport and after clearing customs. you will be met and transferred to the KIA Lodge. This lovely lodge is located near the airport and your accommodations will be in one of the 40 charming bungalows set among the gardens. The open air bar has a magnificent view of Mt. Kilimanjaro. Relax the remainder of the day by the pool, or soak in the view from your bungalow. A late dinner buffet for those flying in late is provided. This morning after breakfast you will be met by your safari guide and depart by road to Sinya, a 55,000 acre private wildlife conservancy in a remote area on the west side of Mt. Kilimanjaro. Its flood plains, hills, acacia woodland and spectacular views of Mt. Kilimanjaro, give life to one of the most beautiful, pristine, wild areas of Northern Tanzania. This is Maasai land, the arid land of Sinya. It is one of the few areas in Africa where you will see huge bull elephants, some more than 50 years old with huge tusks. Some of these bulls live permanently in the area and others migrate, together with herds of mothers and calves, between the adjacent Amboseli National Park in Kenya – in search of water and food. Most of them have been monitored by Cynthia Moss in Amboseli for more than 25 years and form one of the healthiest and most balanced Elephant populations of on the continent. The Maasai people of Sinya still follow the traditional ways. They are friendly and unexposed to the commercial relationship with tourists that is common in some areas. The conservancy land is leased from several local tribes, so your stay here helps preserve the area for the wildlife and generates funds for schools and medical needs. While at Sinya you’ll spend two nights at Kambi ya Tembo, a small luxury tented camp with exclusive use of the conservancy. Each of the 10 luxury thatch roofed tents has an en-suite bathroom with flush toilet and solar powered hot shower and a private verandah. The dining room, bar and lounge are housed in a dramatic thatched roofed structure with a spectacular view of the conservancy. Activities while at Kambi ya Tembo include game drives,, night game drives, hikes and walks escorted by Maasai trackers. You will also have the opportunity to visit the Maasai bomas and experience the weekly Tuesday “market day”. After lunch and some time to relax, depart on a game drive or guided walk. Return for drinks around the camp fire and dinner. This morning after breakfast at sunrise, depart on a game drive. Early mornings, when the cloud cover lifts from the snow capped Mt. Kilimanjaro, the light is perfect for photographing the majestic mountain. You will also visit a local Maasai boma where you are allowed to take photos of the extended families and their way of life. Return to camp for lunch and some time to relax. In the afternoon depart on another activity. After an early breakfast you will leave Sinya with and drive south to Arusha Town, continuing south down the Great Rift Valley and up to into the lush Ngorongoro highlands, arriving at Gibb’s Farm in time an early afternoon lunch. 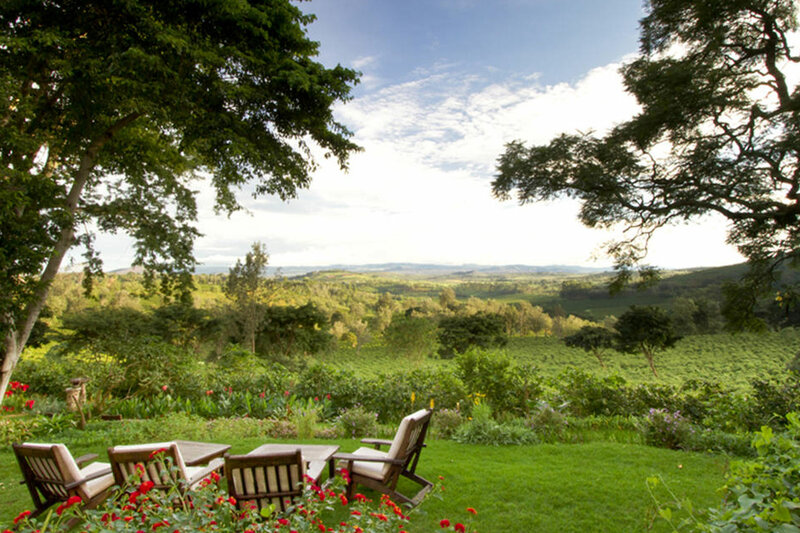 Formerly a working coffee plantation, the farm is set high on the hillside with a breathtaking view of the surrounding hills. 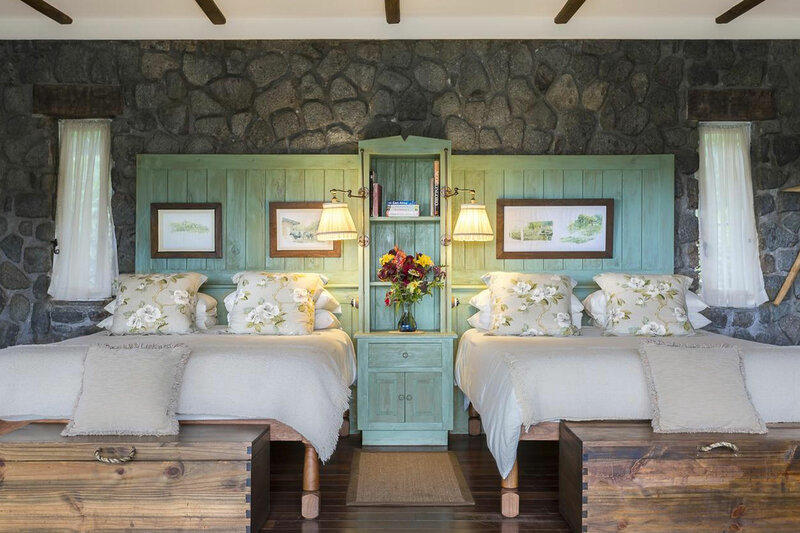 There are 20 cottages near the main building, and 18 luxury cottages set farther up the hill in total privacy. They feature rich wooden floors and classic interiors with wraparound windows. En-suite garden bathrooms offer twin basins, luxurious bathtubs and indoor/ outdoor showers. A wraparound fireplace warms the bathroom and living area. Gibb’s host several working artists on the grounds, and has an amazing collection of art. It’s also known for its fabulous food with most of it coming from their ten acre organic garden. There are also 30 acres of organic coffee 5 acres of flowers and herbs and a working dairy and pig farm. There is also a tree nursery on the Farm where hundreds of young saplings are grown to encourage the growth of native tree species in the area. After lunch, relax for the remainder of the day, enjoy the spa or take a walk to the nearby elephant caves. After an breakfast, depart down into the bottom of the rift to Lake Manyara National Park. Although only 205 sq. miles in size this enchanting park is one of the most beautiful wildlife sanctuaries in East Africa. It is noted for incredibly lush groundwater forest of giant fig and mahogany trees, which are home to troops of baboons and blue monkeys. The park is also home to large numbers of buffalo, giraffe, elephant, hippo, impala and of course it’s famous tree climbing lions. Other highlights include the Hippo Pool, where large numbers usually gather. Well known for its birds (over 400 species), Lake Manyara is one of the few places you will see the comical Ground Hornbill and the Crested Eagle. After an extensive game drive with a picnic lunch return to Gibb’s Farm in the afternoon, visiting the small town of Karatu on the way. This morning after an early breakfast you will drive to the crater gate and continue to the entry road where you will get your first breathtaking glimpse of the crater and it’s 2,000ft high walls. The floor spreads out for 102 sq. miles, and is a virtual “Noah’s Ark”, inhabited by almost every species of wildlife indigenous to East Africa including the rare black rhino. It contains a river, several swamps, a soda lake – complete with flamingos, a forest and open plains. The large bull elephants that reside here have extremely large tusk, due to the rich mineral content of the volcanic soil and its grasses. After a stop for a picnic lunch and more wildlife viewing, drive up the steep exit road to the Ngorongoro Serena Safari Lodge, perched on the crater rim. This luxury lodge has 75 guest rooms, all with private terraces with views of the crater below. It’s built with local materials including over 2 million stones. You have the remainder of the day to enjoy the lodge and time to freshen up before dinner. Optional guided walks on the rim can also be arranged in advance. Today you’re off to the world famous Serengeti National Park, home of the “great migration”. Your route today is spectacular as you drive across the crater highlands, cresting the hillside where as far as the eye can see, is the vast Serengeti. Serengeti means “endless plains” in Kiswahili and this 6,900 sq. mile (18,000 sq. km) park is inhabited by more than 2 million large animals including more than a million wildebeest, hundreds of thousands of zebras, and gazelles. Large predators including lions, cheetahs, and hyenas are drawn to the area by this abundance of prey.. Many smaller animals – rock hyrax, bat eared foxes, mongoose, honey badger, jackals, monkeys, baboon and African hare inhabit the area along with nearly 500 species of birds. On the way into the Serengeti you will can stop at the famous “Oldupai Gorge”, where Dr. Louis and Mary Leakey made their discovery of early man, attend a lecture and visit a small museum. Afterwards continue to your lodge spotting wildlife en-route. Your stay in the Serengeti will be at the luxurious Kati Kati. After lunch, you will depart on an afternoon game drive in the Serengeti. Return to the camp in time to freshen up and enjoy a sundowner around the campfire before dinner. During your stay in the Serengeti, you can decide with your guide how you would like to spend your days. On most mornings you’ll be awakened early and after coffee or tea depart on an early morning game drive.. The early mornings are magical in the Serengeti, when the wildlife is just waking up to greet the days. 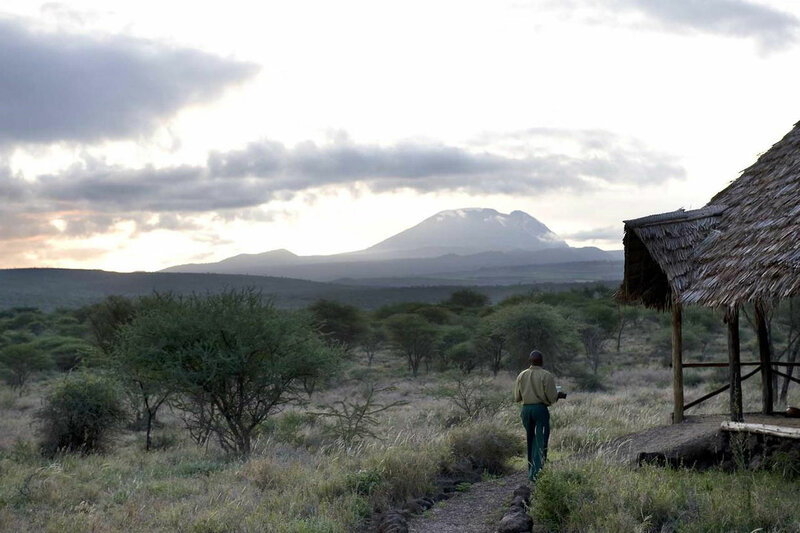 After returning to camp for breakfast you can depart on a walk guided by Maasai trackers, returning to camp for lunch. Or you may want to depart with a picnic lunch so that you can spend the whole day wildlife viewing. Off road, across the Serengeti plains, you’ll find “Kopjes” – massive boulder islands, standing in a sea of grass. The kopjes were formed by volcanic activity and provide shelter to a great variety of plants and animals, from the elusive leopard to the tiny dik dik. Other unique areas include the Ndutu Lakes, and forest. This morning after breakfast you will driven to the airstrip where you will say goodbye to your guide and depart on a late morning scheduled flight to Arusha Airport. When you arrive you will be met and driven to Arumeru River Lodge. After lunch the rest of the day is yours to relax, or a driver can be arranged if you want to go into town for shopping and exploring. Later today you will be driven to Kilimanjaro International Airport for your departing flight.